Using one of the mechanism described in the Semantic Web Basics section, the ORR system includes a tool for ontology creation based on the editing of a table of definitions in a spreadsheet-like fashion. 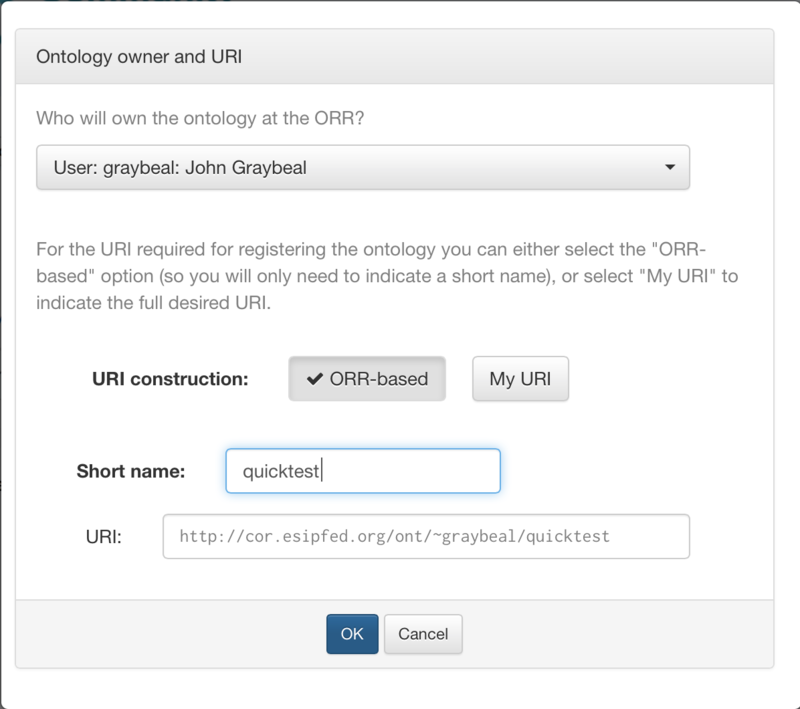 Besides metadata for the registration of the ontology entry in the repository, the ORR also captures a class for the terms defined in the table. 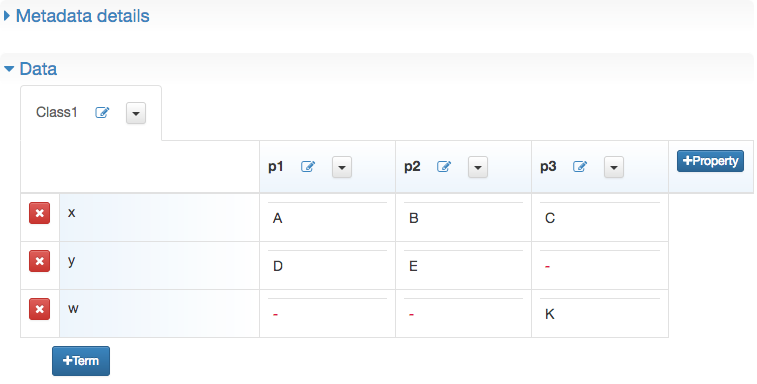 Specifically, the subjects (i.e., first column in the table) will be instances of the given class. A given class and corresponding set of term instances are called a term set in the ORR. Multiple such term sets can be defined for a single ontology entry. The table can be populated by importing text in CSV format, as described in the Vocabulary Import page. However, this document describes the operation of populating this table manually. Once signed in, click the "Create vocabulary" button in the main ORR page. To register your vocabulary, you need to create metadata to describe the ontology. 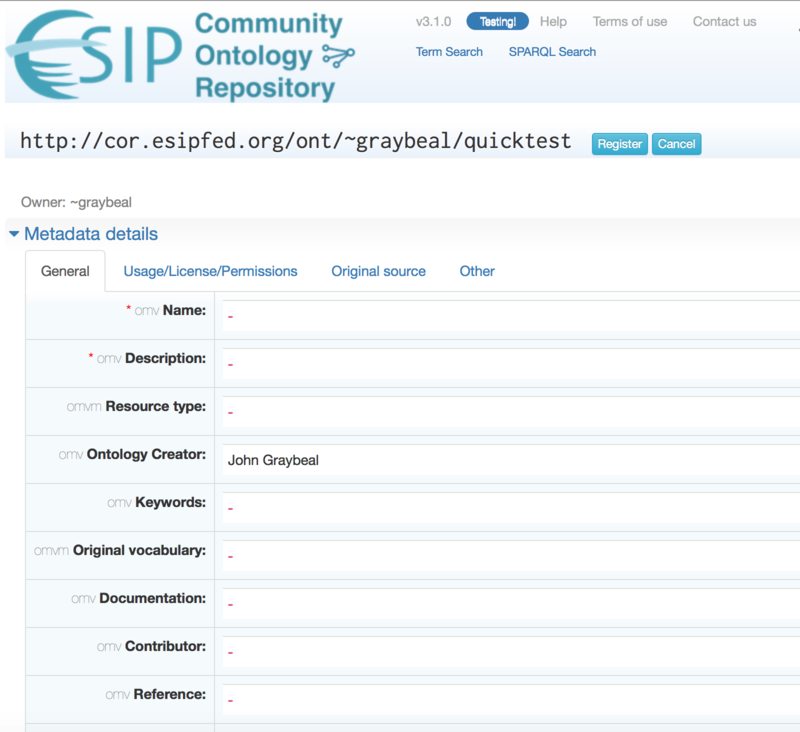 Required metadata is shown with a red asterisk. 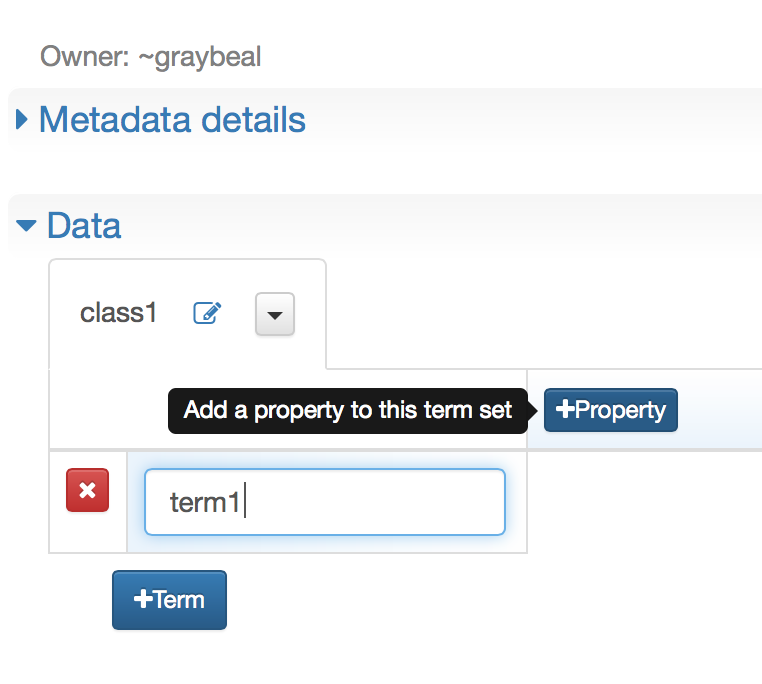 If you are not sure what a particular metadata field means, hover over the field to get help. 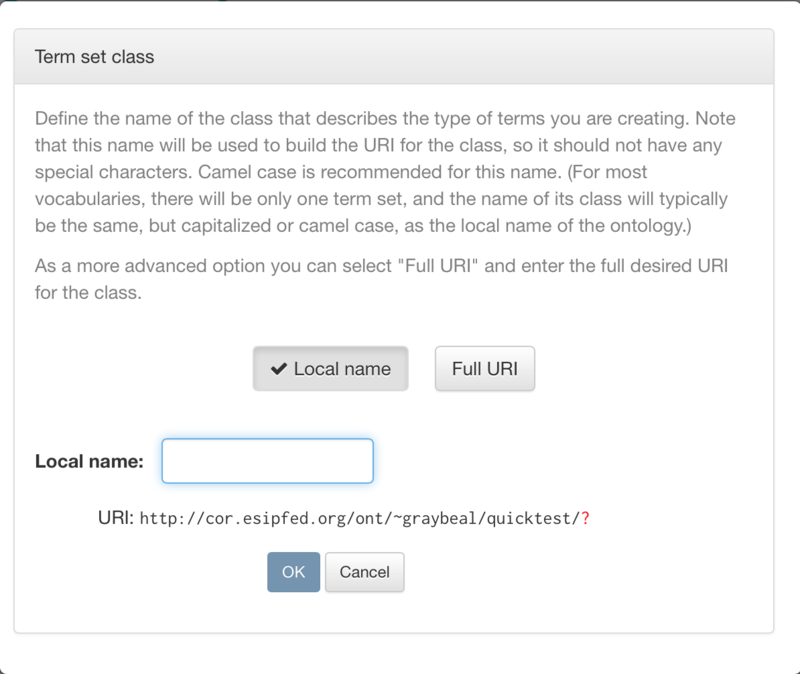 Start by determining the IRI for the class, either by entering a local name, or a full IRI. Then you can fill in the vocabulary contents. That includes the list of terms; and the associated properties, or information, for each term. Click on +Term to add a new term, and +Property to add a new piece of information that needs to be filled in for each term. Once you finish entering properties, terms, and content to your satisfaction, you can review and register your vocabulary. Please see the “Completing Vocabulary Registration" page for more details.